This chapter introduces current literature on language acquisition and emphasizes the key factors scholars have identified as critical for later life second language development. 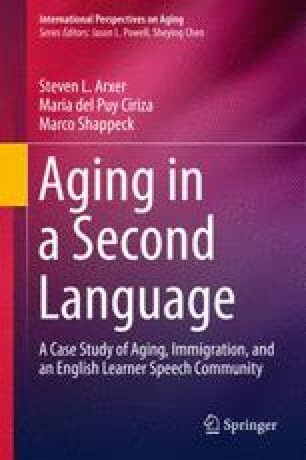 In this chapter, conventional approaches in linguistics are examined for their work on the relationship between aging and language learning. Of particular interest to these traditional approaches is the role of cognition in the development of language. We emphasize, however, the call by social linguists who study how “safe” encounters mediate pressures experienced during second-language socialization and empower older immigrants in their cross-cultural engagements.